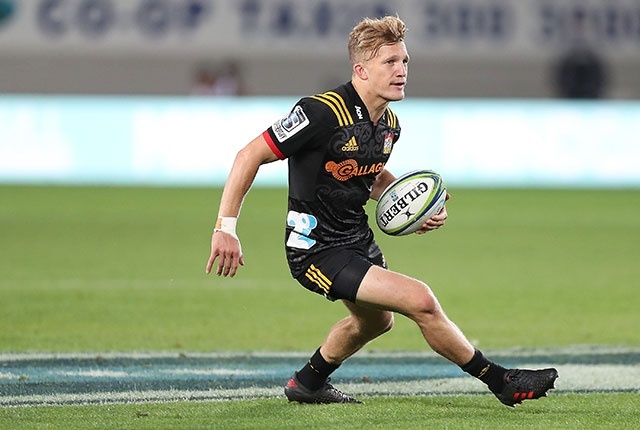 Wellington - Utility back Damian McKenzie was ruled out of the Rugby World Cup on Monday in a blow to the All Blacks as coach Steve Hansen warned it was likely more players could miss out through injury. McKenzie suffered a torn anterior cruciate ligament in his right knee playing for the Chiefs against the Blues at the weekend and, given the ferocity of Super Rugby New Zealand derbies, Hansen said he could lose more players over the next few months. "He could be out for eight to nine months," Hansen said of McKenzie, who has been at home playing either fullback or flyhalf in his 23-Test career, as a squad of 41 All Blacks assembled for the first of two pre-World Cup camps. "It's a real shame for him, his World Cup opportunity has gone. "He's still young enough to probably make the next two (World Cups) so it creates another opportunity for somebody else. "We've got to expect injuries and there'll be more than just him, I suggest, by the time we finally name the team to go to the World Cup." McKenzie hobbled from the field after a collision with Blues flyhalf Otere Black one minute into the second half of the Chiefs' 33-29 win over the Blues in Hamilton on Saturday. At least nine All Blacks are currently on the injured list and Hansen said the news about two of his senior players - midfielder Sonny Bill Williams and flank Sam Cane - was promising. Williams could be sidelined for six weeks following knee surgery but "many people come back from cartilage injuries so that's not a concern," Hansen said. Cane has this month resumed light contact training after breaking in his neck in the All Blacks' Test against South Africa in Pretoria last October. "What is important is he comes back when he is ready and he is confident," Hansen said. Other All Blacks currently out of Super Rugby because of injury include Owen Franks, Aaron Smith, Liam Squire, Luke Whitelock, Codie Taylor, Waisake Naholo and George Bridge.